If you want to have a stress-free moving experience, then you won’t want to miss this article. Here you’ll find 10 moving hacks all homeowners should know. Planning a move and need to get organized? Don’t get overwhelmed, get a plan. A common mistake people make when it’s time to relocate is waiting until the last moment to pack. They put packing off until the task seems monumental. This can cause undue stress and make packing more difficult than it needs to be. Breaking the process into smaller tasks over several weeks, or even months can help you relax and think clearer. It also helps you to decide which items to discard or giveaway. It makes no sense to take outdated and unused things with you. If you are planning a move, continue reading for 10 awesome moving hacks to help make packing easier. Once you decide to move, create a to-do list. Your list should give a specific timeline for completing tasks based on their importance. Understand when you will need to transfer utilities to your new place. Determine if you will need to take off. Also, figure out if you will need the help of friends. Planning a big move may require hiring a moving company. You will also need to figure out if you will need storage pods. As soon as you know your new address, complete a change of address form with the local post office. It can take a couple of weeks for the change to take place. You will need to notify family, friends and the lawn man of your impending move. Your employer will also need to be notified. 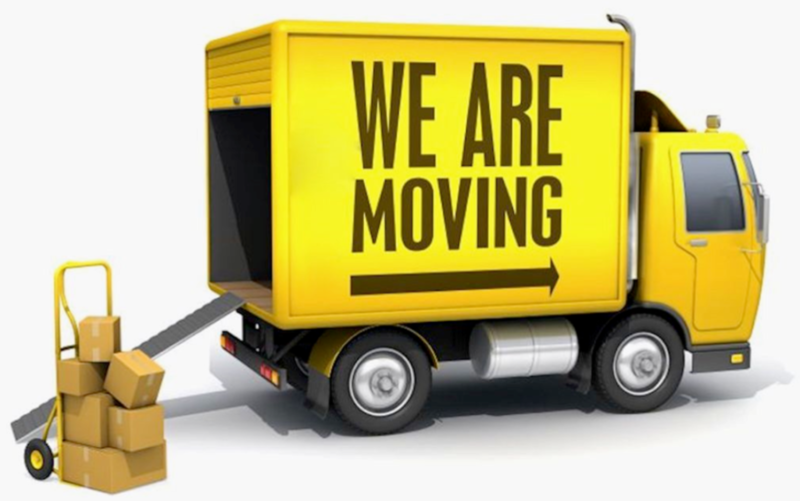 Additional moving tips when it comes to address changes include disconnect/connect notifications. If you have a cable satellite dish or internet modems, they may need to be relocated by the provider. Also, prepare for costs associated with the transfer. Packing to move can’t start too early. There are a lot of cool moving tips and tricks you can do to save money. Instead of buying boxes, go to local stores early in the morning and ask for boxes they will discard. Oftentimes you can find boxes of various sizes. Another hack is to use durable garbage bags, which can be reused later. Don’t forget to label everything. Good moving advice is to sort boxes, tubs, and bags according to importance. Items you won’t need for a while should be placed towards the back. Your clothing, pots and pans, towels and other essentials should be easily accessible. If your new place has a garage or spare bedroom, store containers there until you have free time to deal with them. You’ve gone through everything and packed up what you will be taking with you. Now it’s time to decide what to do with those things you no longer want. Hosting a garage sale is on our tips for moving. You can earn a few dollars to help with your moving expenses. What you don’t unload on your neighbors and bargain hunters, can be donated to a local charity or shelter. Today, everything comes with a cord. Some are attached to devices, while others are not. Moving tips for securing your cords can prevent a huge headache. For devices with attached cords, wrap the cord around your hand. Remove the coil and then use a plastic zip tie to hold it in place. You can also use tape to secure the cord to the back of the TV or other device. Use a similar approach for detached cords. Instead of a zip tie, just use tape. Write what the cord goes to and place them all in a box together. You don’t know how long your move will take or if there will be glitches on moving day. Refraining from buying perishable items is useful moving advice. If your electricity isn’t turned on in time, or there is an issue with your refrigerator or freezer, food may need to be tossed out. Save your grocery shopping for after the move. Use as much of the food that you already have, and consider take-out. This is also a great time to clear your cabinets and refrigerator of outdated items. Not everything needs to be packed away. There are some common items you simply need to secure. Instead of packing silverware in a box, take the entire tray and wrap it in saran wrap. Place Styrofoam between dishes and then secure then between bed comforters and pillows. Stack the dresser drawers and cover the top with a sheet. Clothes on hangers can be covered with extra-large garbage bags. Cut a hole in the top and bring the hooks through for easy carrying. Towels, rags and sheets can be transported in laundry baskets. There is more to moving than packing up your things and leaving. Whether you’re moving from a rental property or turning over a home after a sale, there are key things that need to be done. You will need to ensure that the unit is in reasonable condition. Give yourself enough time to get your property out so you can properly clean the house. Once you are done, take photos and make sure they are time stamped. Do an in-person walk-through with the property manager, realtor or new owner. This could impact the return of your deposit if it is a rental. Moving can be extremely exhausting. Once you’re done, plan some downtime for yourself. Take a hot bath or shower, order a pizza and watch your favorite movie. You can worry about unpacking and setting up your new place after you regroup. Have You Found These Ten Hacks Useful? Moving isn’t for the weak at heart, but a well-planned move can make a world of difference. If you enjoyed these tips, check out our blog for other useful hacks that can make your life easier.